First aid and medical treatment can both save lives. First aid is the initial response to an injury or illness, which can be given by a non-professional as soon as a medical problem arises. Medical treatment is the provision of medicines, surgery and other medical interventions to help treat a disease, injury or other condition. 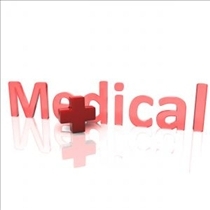 First aid and medical treatment often work together to deal with a medical problem. First aid can be offered on the scene to help stabilize a patient or to begin treating their injury as soon as possible. The patient may then need to be taken to a doctor or hospital in order to receive medical treatment. Receiving first aid as quickly as possible can often make a huge difference to the patient. First aid is generally used in the treatment of minor injuries or illnesses, in which case it may be sufficient by itself. However, first aid can also be used as the first response to a more serious injury or illness that will later require professional medical treatment. Common conditions that may require first aid include choking, heart attacks, anaphylactic shock and bone fractures. Medical treatment can help many different types of patients with a wide range of different conditions. It can be used following first aid, or on its own. It can treat all sorts of injuries and illnesses, including chronic problems that may require long-term treatment. Medical treatment can deal with minor medical problems like those that may require first aid treatment, but it can also deal with more serious conditions. Medical treatment can also deal with conditions that are not emergencies, while first aid tends to be used only when an emergency such as an accident or sudden illness has occurred. The conditions for which medical treatment may be required can include injuries, infections, cancer, mental health problems and hereditary diseases. First aid is typically performed at the scene, when someone has been injured in an accident or if they have become ill suddenly. Medical treatment may be performed on the scene in an emergency, but it is also available in doctor's offices, surgeries, clinics and hospitals. Medical treatment can help in both the long and the short-term, with some treatments going on indefinitely, while first aid is a quick response to a problem. Further medical treatment may be needed following first aid. First aid training may also be provided to people in certain professions, who are likely to need to use their skills. First aid training focusing on children may be given to childcare workers, for example, while soldiers are trained in battlefield first aid. First aid can be provided by a medical professional, but it is usually given by a non-expert. First aid can be performed by anyone who knows how a minor injury or illness should be treated. Most people will perform first aid on themselves or someone else at some point since it can be as simple as disinfecting a cut and putting on a band aid. However, first aid training is also available which can teach people how to perform various types of first aid such as dealing with broken bones, bleeding or burns, and performing CPR. Medical treatment is usually provided by trained professionals such as paramedics, doctors and nurses. These professionals have undergone extensive training in order to qualify for their jobs and they are, therefore, able to perform more complicated procedures than someone who only has a first aid qualification. The difference between first aid and medical treatment can be of legal importance, particularly for employers and insurance providers. 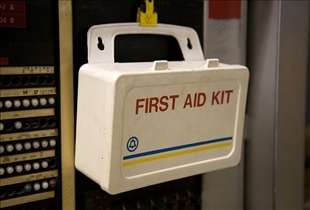 Workplaces are usually required to provide first aid equipment and to ensure that at least one of their employees is a trained first aid provider. Workplaces that are considered particularly hazardous are usually held to higher standards. There are also legal differences between first aid and medical treatment in terms of the responsibilities of the provider. Doctors and other medical professionals are usually required to carry insurance and they are held to very high professional standards. If they make a mistake, they can be sued for malpractice. A non-expert who provides first aid will usually be protected to a certain extent against legal action if something goes wrong. First aid provides an immediate response to a medical emergency. It can be handled by someone with little medical knowledge or training. Medical treatment can cope with a much wider range of medical conditions, including non-emergency cases, and it is usually performed by a professional. First aid takes place at the scene, often when professional medical care is not available. Medical treatment usually occurs in surgeries, hospitals or other medical facilities and it is conducted by professionals. First aid can cope alone with minor injuries, but medical treatment may also be required for more serious conditions. First aid can help to save lives since speed can be essential for many conditions. Drug Abuse vs. Alcoholism: Which is worse? Digital vs. Analog Hearing Aids: Heard Every Word?